•product detai •This cooked tea is produced in the Yunnan province of China. 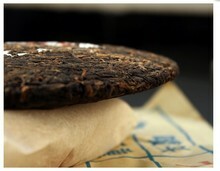 It is made from ripe Pu-erh tea leaves compressed into the shape of a bowl. This new batch from Menghai is exceptional, with a smooth butter like consistency, coating your palate with a rich, sweet earthy aftertaste.Brewing Guide: Measure 3 grams of tea to 6 oz of water, steep about 30 seconds and serve. The same leaves can be re-steeped for 5-8 times, perhaps adding 15-30 seconds to each steeping time. 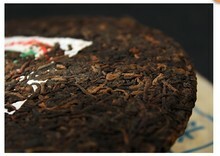 When Puer is steeped a long time it can become as full-bodied and dark as coffee, but it never turns bitter, acidic, or astringent. It just gets stronger, thicker, fuller, and sometimes sweete. • Keep drinking Pu'er Tea, a way to good health Improving digestion, burning the body fat Enhance immune system Suppressed the cholesterol Brew Guide:	First, pour in boiling water until overflow slightly. This is for rinsing the water and not for drinking.•Pour out the water.•Then use boiling water to brew the tea, about 2-5g per time.•Usually can brew about 2-5 times.